When we think of camp, so many images pop into our minds. Crackling campfires and sticky s’mores. Silly songs and stories. Chilly lakes and The Blob. Hiking, biking, swimming, dancing, playing. And above all, learning new skills, discovering new interests, gaining sometimes-lifelong friendships – and occasionally marriages, as you’ll see in Andria Frankfort’s Summer Nights. 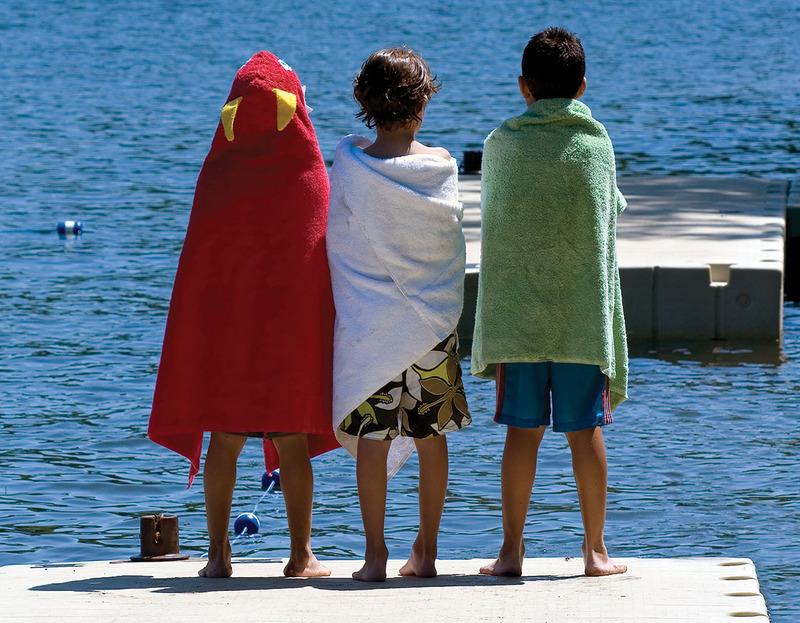 Buzz-area residents are fortunate in that Houston is home to many types of camps, programs and classes to choose from, including specialized sports, arts and educational programs for all ages. Additionally, many overnight camps are located just a car or bus ride away. Choosing the right camp for your child depends on your child’s personality, interests, summer schedule and other factors. This directory is not intended to be an exhaustive list of all camps. Instead, our goal is to provide readers with a snapshot of each camp and program, as a starting point in the research process. The Buzz Magazines Summer Camp Directory includes camps and programs that support our magazines through advertising. Camp Champions has had a tradition of excellence since 1967. Fantastic activities and the best-trained counselors are a few of the reasons that Camp Champions is consistently ranked among the top camps in the country. Our passion is to help every camper grow into the Champion they are intended to be. Two and three-week sessions are offered where we create a loving community and encourage every camper to discover the best versions of themselves. Informational meetings in Houston scheduled for February and March. See www.campchampions.com for details. Camp HBU is a week-long overnight camp at Houston Baptist University for students ages 10-15. Campers will enjoy academic and extracurricular sessions hosted by HBU faculty, staff, and students, worship and small group discipleship, a community-service opportunity, and lots of HBU spirit and fun! Camp MasterChef is an immersive culinary experience designed for kids and teens ages 8-16. It’s an unforgettable week full of cooking, learning, team challenges and fun! Campers sharpen their culinary skills under instruction from expert chefs. They also develop healthy lifestyle and personal-growth skills alongside training by our staff of culinary professionals and counselors. Our camp includes daily cooking lessons, meeting MasterChef contestants, team challenges and competitions, Master Classes and nightly theme parties. Camp Olympia is dedicated to having fun together, helping people grow in body, mind, and spirit. Established in 1968, Camp Olympia is a private, overnight Texas summer camp for boys and girls ages 6-16 offering one, two and three-week sessions. Camp Olympia blends its rich camping history and experience with its continual growth and exciting additions, making it a nationally recognized summer camp. Since 1952, CYJ Texas has given thousands of Jewish children life-changing summers. We offer a fun, inclusive, challenging, action-packed, safe environment where campers can play, grow and make lifelong friendships. Camp activities include swimming, sports, arts and crafts, Maccabia (color war), singing and dancing, campfires and so much more! A love of Israel and Judaism is infused in everything we do, and we foster that love in our campers. We encourage all our kids to try new things and build new skills each summer. We offer a weekend taste of camp for entering first and second graders, 9-day mini sessions for entering second and third graders, and 3-week sessions for entering third-ninth graders. iD Tech is the world leader in summer STEM education, with over 400,000 alumni since 1999. Programs for ages 7-19 are held at 150 prestigious campuses, including Rice, the University of Houston, The Village School, Stanford and NYU. Weeklong, day and overnight programs in coding, game development, robotics and design. Students learn in guaranteed small classes (10 students max per instructor) for personalized learning and exceptional results. Camp Director: Sgt.Maj. Ford Kinsley, USMC, Ret. Unplug your son this summer! Make the most of his summer, and enroll him in our 4-week camp. Ages 11-18 (campers grouped by age). At MMA Summer Camp, he’ll be in constant motion. Every day, he'll participate in challenging, exciting outdoor activities that build discipline, teamwork and confidence. As he has fun, he’ll also learn how to focus, problem solve and overcome his fears. No other camp will strengthen his body and mind like MMA Camp! Get ready for the loudest, funniest, and most impactful week of your summer! At Pine Cove, campers jump high, dance silly, adventure big, and learn all about Jesus Christ. From awesome activities and exciting theme nights to deep relationships and outdoor adventures, you’ll find that Pine Cove is no ordinary summer camp. Join us just one hour west of Houston in Columbus, Texas, and see why we’re Christ‑centered, others‑focused, and seriously fun! Summer 2019 at URJ Greene Family Camp is shaping up to be our most exciting summer yet! With the completion of our new Goldberg Performing Arts Center and the renovation of our cabins – as well as the renovation of our STEAM center – we’ll have incredible programs, activity offerings, and, of course, the same Jewish community that has transformed the lives of campers for over 40 years. From swimming in Lake Jake to climbing the Alpine Tower, performing a song you wrote on stage to painting the winning plaque for color war, dancing your favorite Israeli dances to swaying at Shabbat services, there’s something for everyone at GFC. We look forward to seeing you this summer! Along the shores of Lake Livingston, just north of Houston, lies one of the premier overnight camps in Texas, YMCA Camp Cullen. Camp Cullen offers campers the experience of a lifetime. Campers, ages 7-17, take part in a wide range of activities, including water sports, horseback riding, a high-adventure course, a zip line, nature exploration, drama and much more. Teen leadership camps are also offered. In addition to the fun and challenging activities, sleep-away camps teach the character values of the YMCA: caring, honesty, respect, responsibility and faith. All in a safe and supportive environment. Experience More. Achieve More. YMCA Camp Cullen.